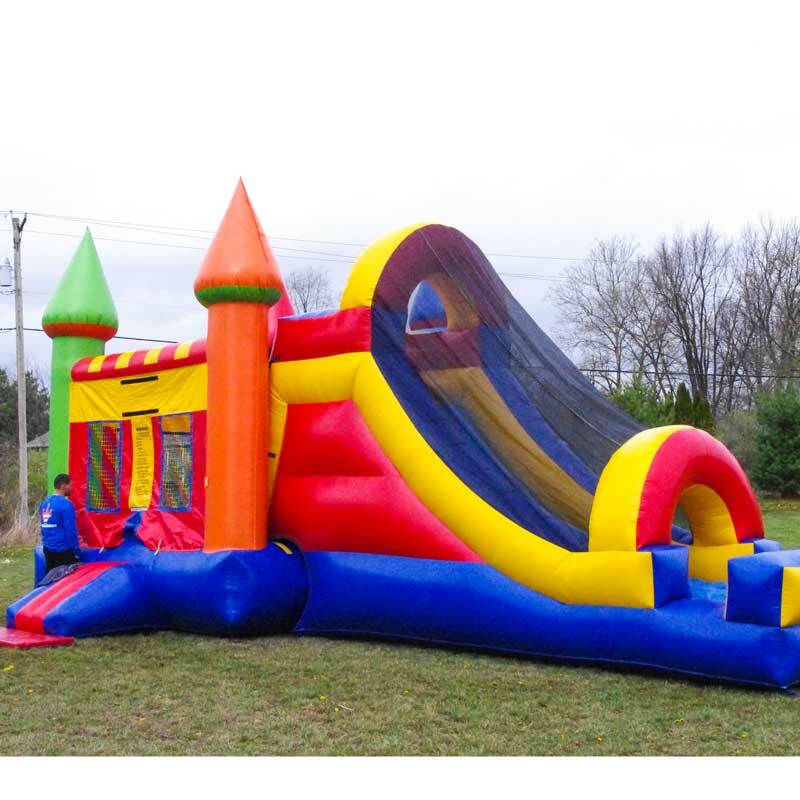 This colorful combination bouncer, climbing wall and slide is great for any event. Spacious bouncer with mesh netting, and climbing ramp ensures a clear view of guests and safe bouncing. Two slide lanes land guests outside to continue the fun.